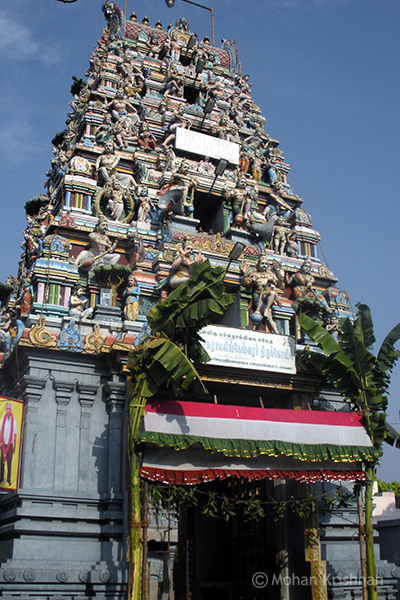 Anjaneya and Ganesha can be viewed from the same spot in this ancient temple built during the Chola period. 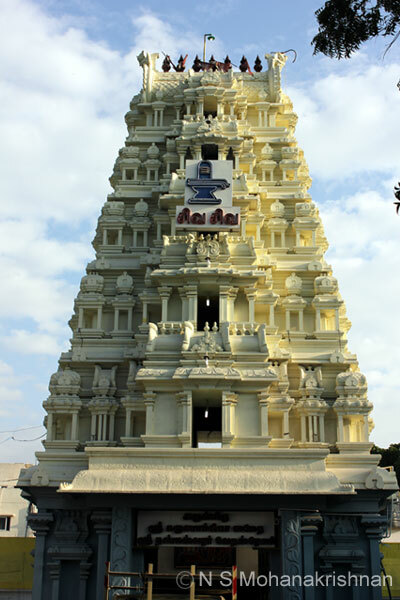 This temple was built in 1804 by two Gujarati women who brought the Lingam from Kasi. 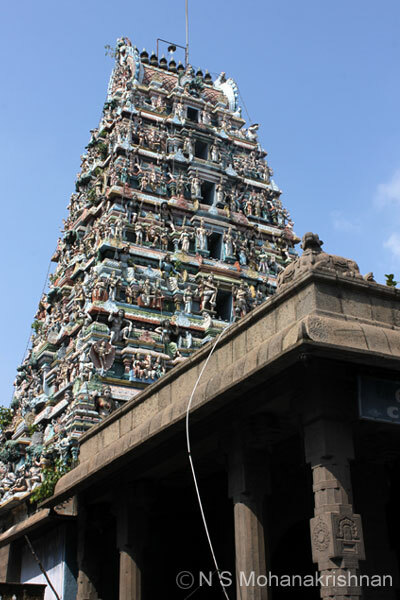 The Shiva Lingam here is said to change color according to the season between black and a golden hue. It is also said to exude heat at times. 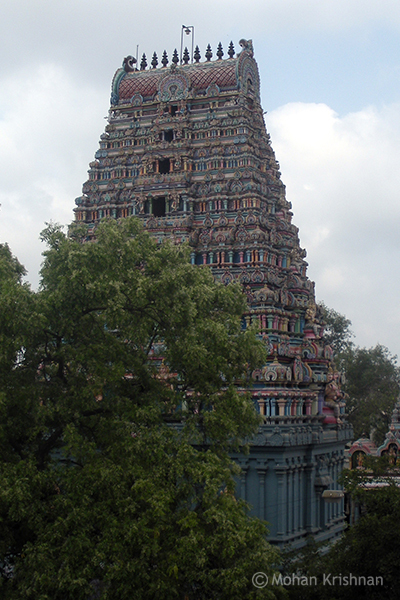 A large and beautiful temple along with the adjoining Vishnu Temple is like an oasis in this busy area. 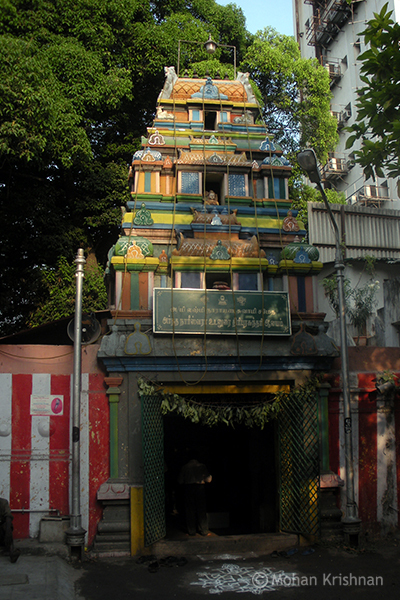 This temple along with the adjoining Vishnu temple was built by an agent (dubash) working under the British East India Company in 1740’s. 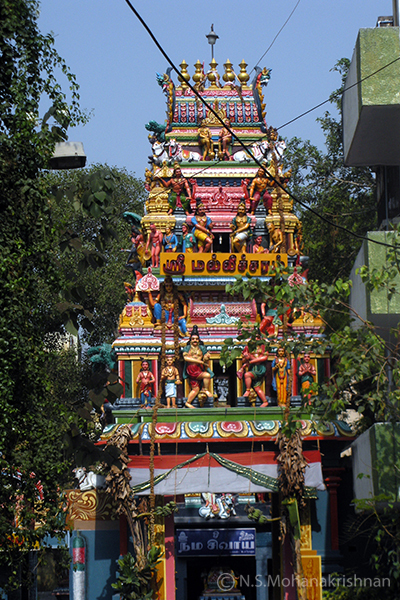 Thirunavukkarasar has mentioned this temple in one of his Hymns and hence this is a Vaippu Sthalam. 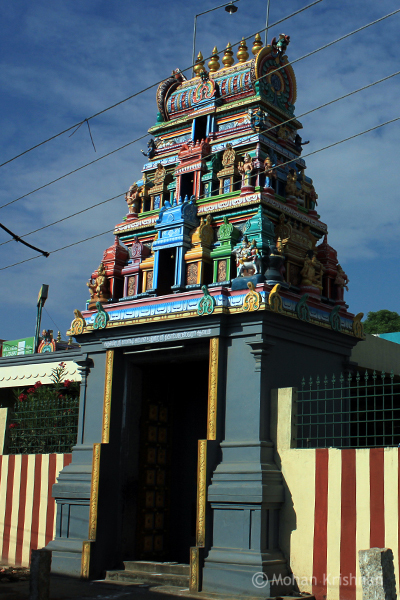 A small and nicely maintained ancient temple with a 3 tier Gopuram at the entrance. 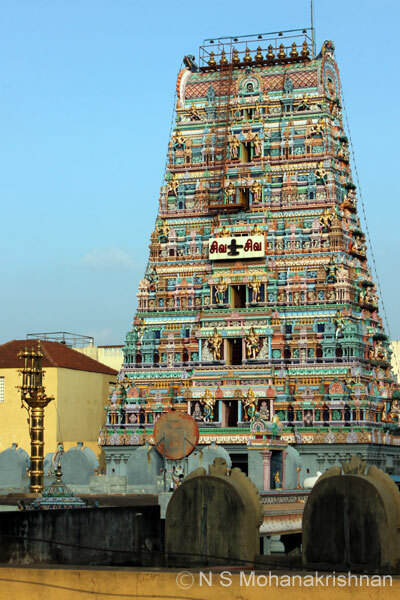 This is one of the oldest temples in Chennai District dating back to the times of the Cholas. 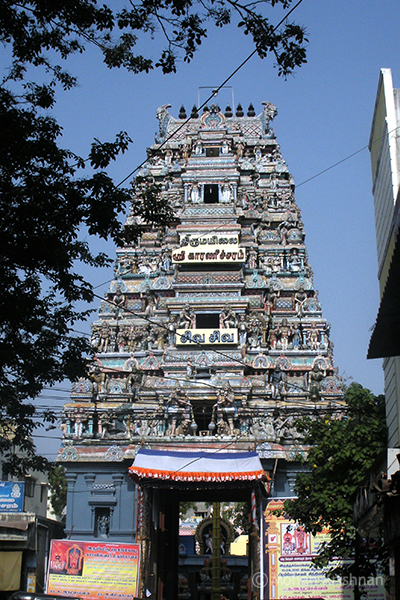 This is one of the Sapta Sthana Shiva temples in Mylapore (seven sacred Shiva temples in Mylapore) attributed to the great Sages. 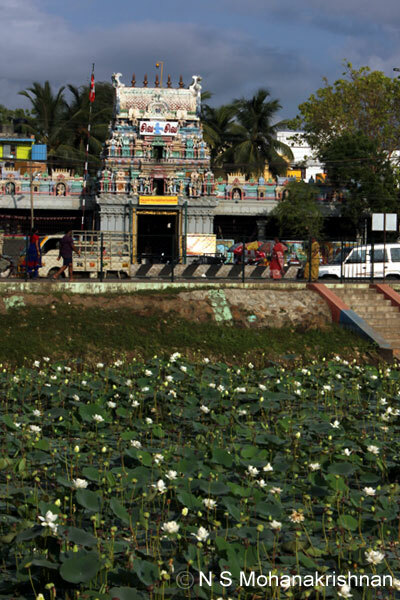 This area called Mahabilam used to be frequented by Saints who bathed in the pond here and prayed to the Vilva Trees considering them as lord Shiva himself. 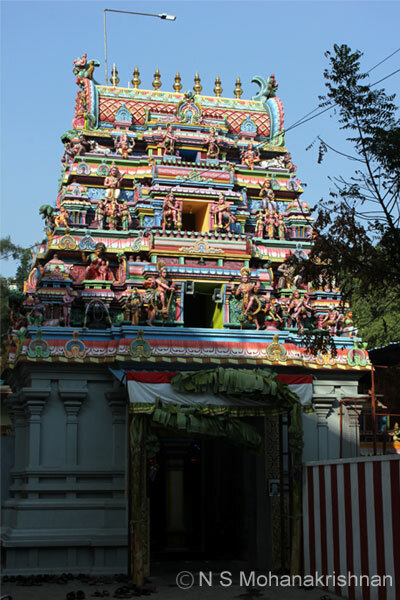 This ancient, beautiful and large temple is connected with the legend of Sage Valimki and Lava, Kusha, sons of Lord Rama. 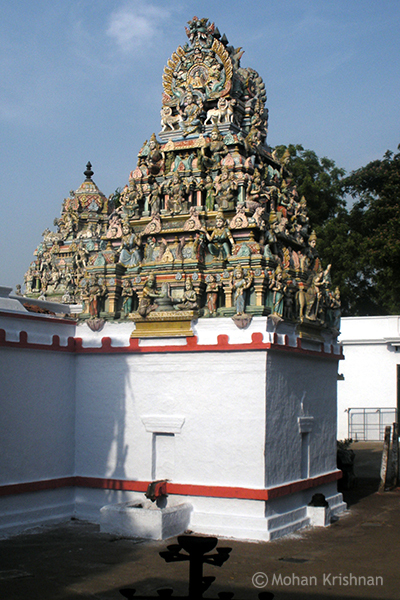 A small temple but is believed to be very ancient, at least the Lingam. 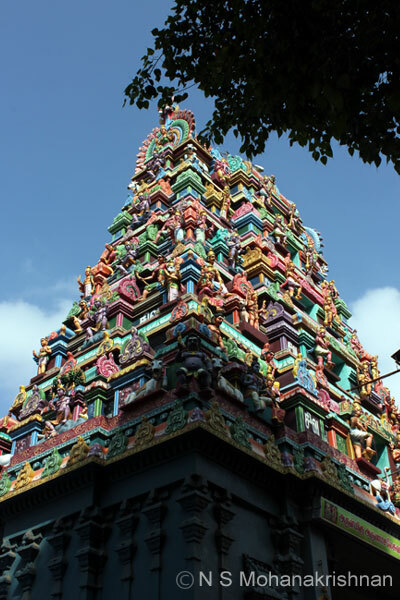 One of the Saptha Sthana Temples of Mylapore this area was once a forest of Jasmines and so the Lord here is called Malleeswarar. 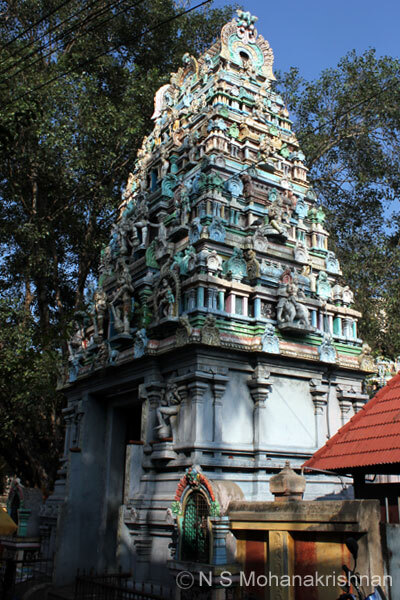 Stone inscriptions found in the Thiruvotriyur Temple refer to the existence of this temple about 800 years back. 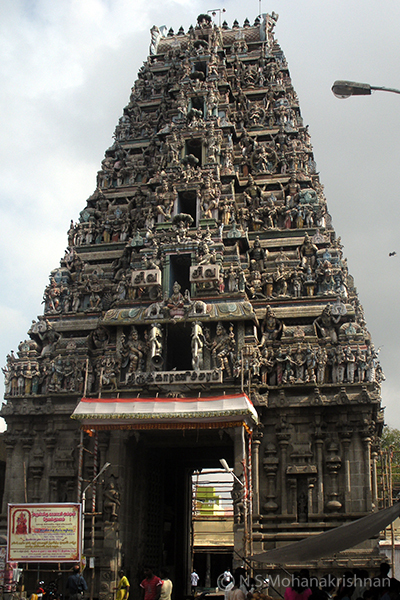 A nice large and spacious temple. An evening spent here peacefully would be great for the mind. 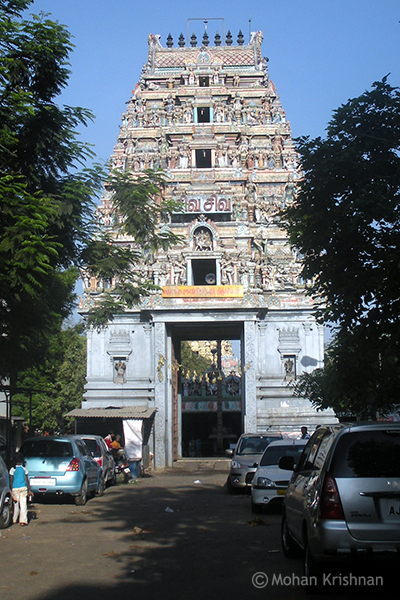 This is one of the seven Sapthasthana (Saptha meaning seven) temples for Shiva in Mylapore worshiped by the great rishis. 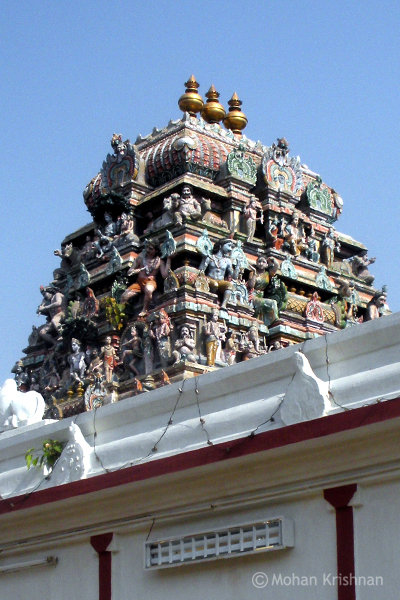 The Nawabs of Arcot have contributed to this temple. 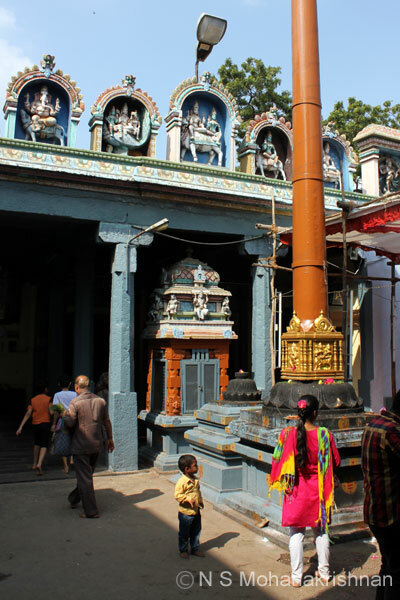 Even today the local Muslims provide the milk for Naivedyam. 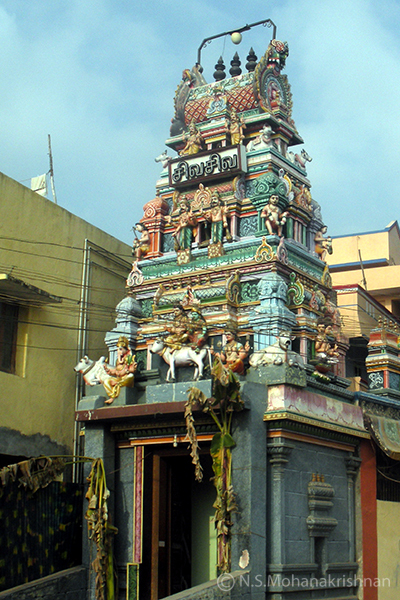 This is one of the seven Sapthasthana temples for Shiva in Mylapore, where Vaali has done penance. 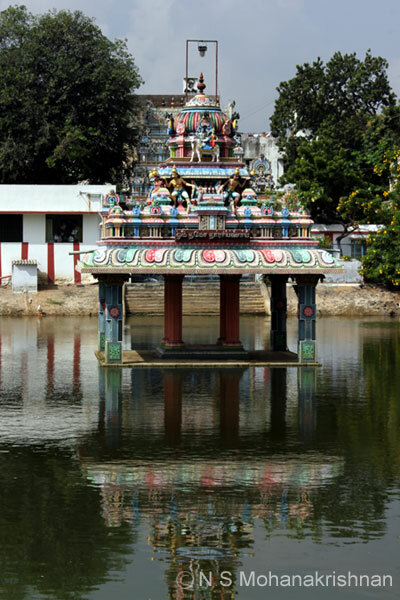 This beautiful temple adjoining the temple tank is from the 17th Century CE. 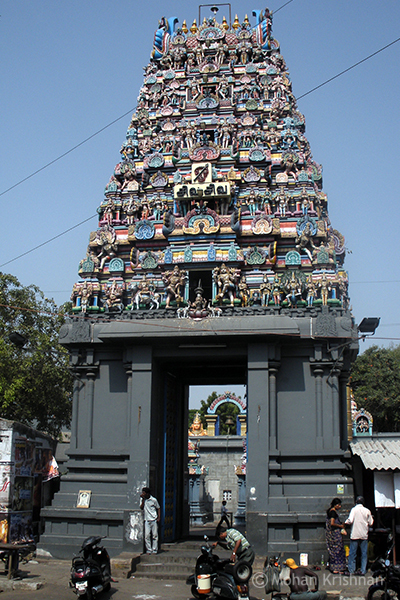 This ancient temple dates back to the sixth year of the rule of Raja Raja Chola. 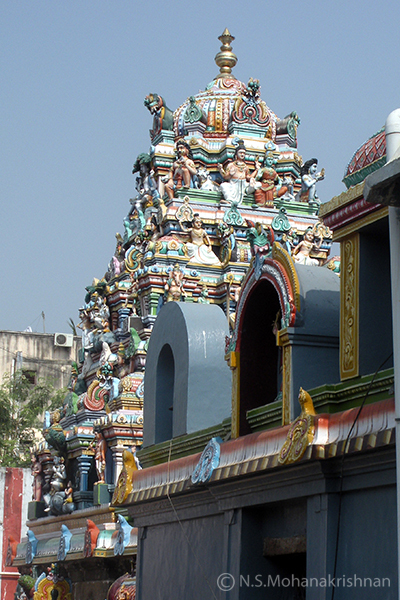 The roof of the Navagraha mandapam is sculpted with the 12 zodiac signs, 27 stars, 60 years, the four yugas and the ashtadik baalakas. 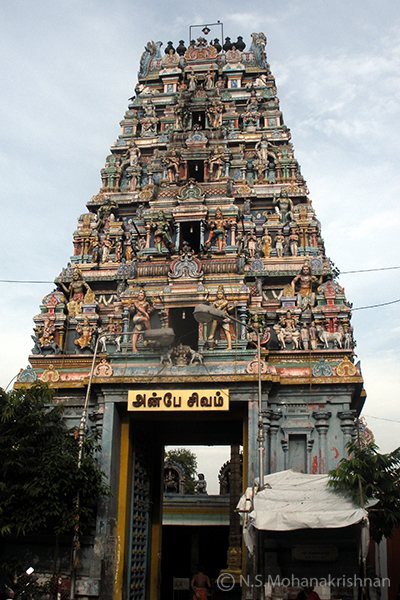 This is a large east facing temple with a 5 tiered Rajagopuram at the entrance. 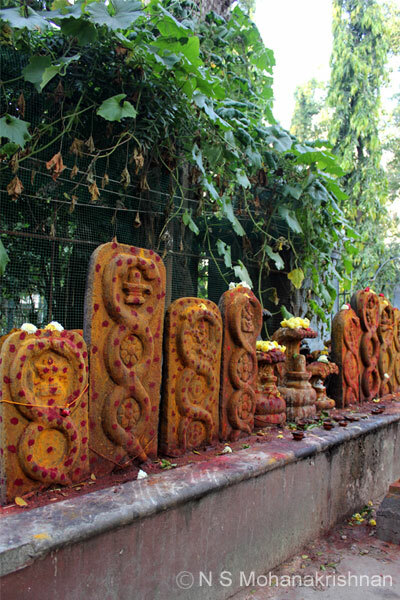 Almost all temples in the area have many Naagar (Snake) idols in different forms in regular worship and even more here than others. 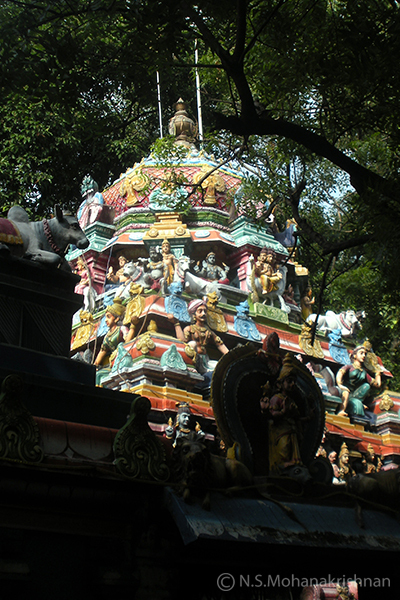 A very busy and crowded temple particularly more during the sabarimala season and other festivals. 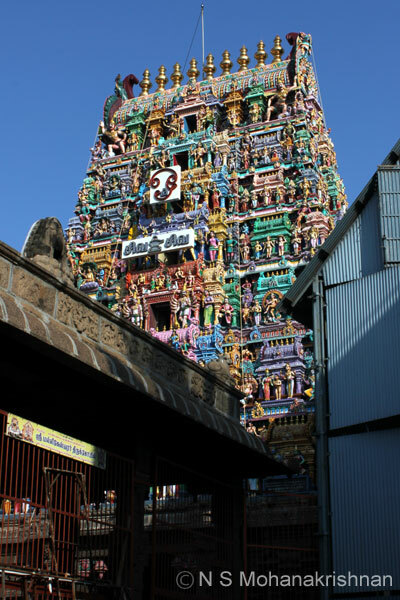 The ancient temple was said to have been buried under sand and had to be dug up and hence the place also came to be called Mannadi. 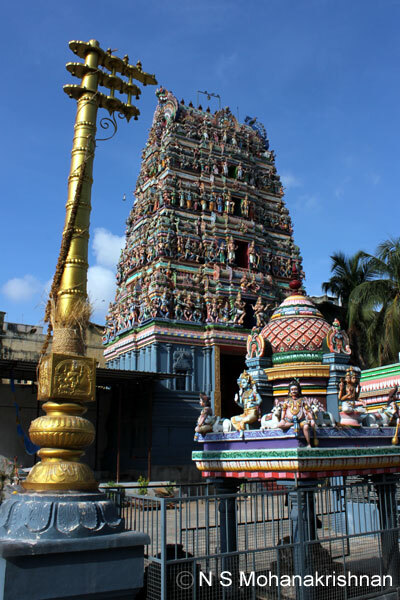 The original temple was supposedly buried underground, discovered during some excavation work and reinstated. 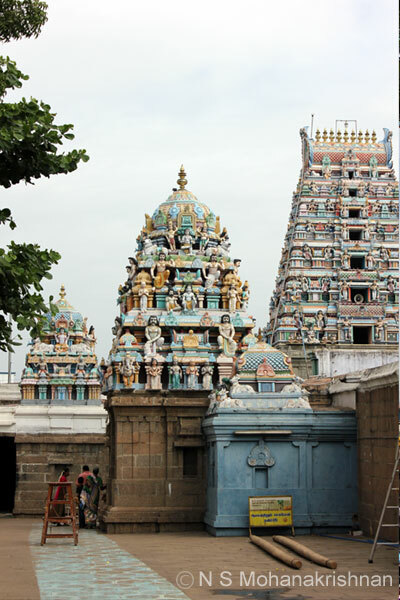 The great Sage of Kanchi stayed here for 60 days and provided one handful of rice and ten paisa each to the needy people during the shortage of 1965. 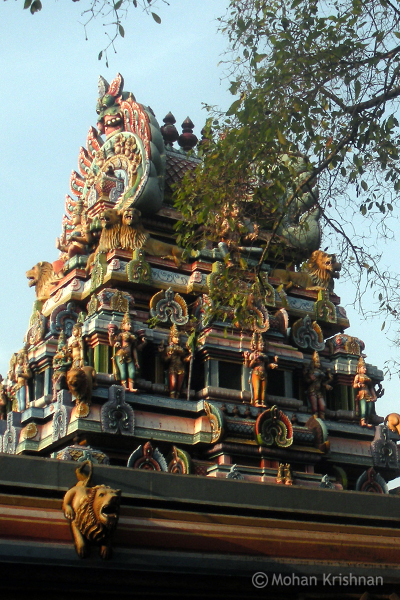 Under threat during the expansion of the ring road this ancient temple fortunately did not suffer and today throngs with people from all over. 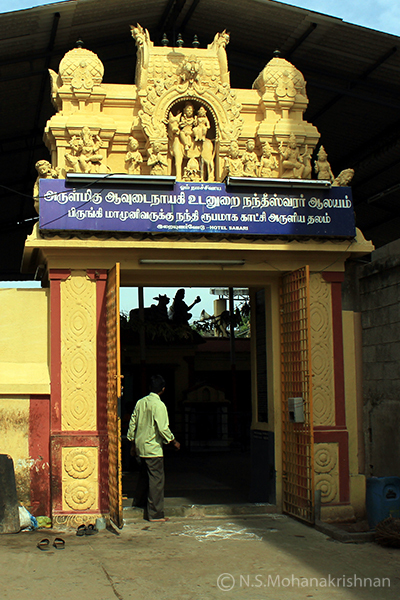 Yama, the god of death, is believed to have done penance here to seek the pardon and blessings of the lord after he lost his strength when he was kicked in the chest by him.